Able Engraving specialise in engraved aluminium products. Aluminium is an ideal choice of material for both outdoor and indoor signs and labels because of it’s durable non-corrosive properties etc. Aluminium is lightweight and tough, and can be etched as well as engraved. 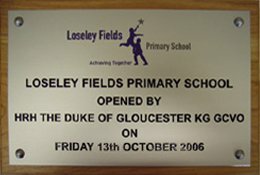 Our engraved aluminium signs are available in silver, black or bronze anodised finish. 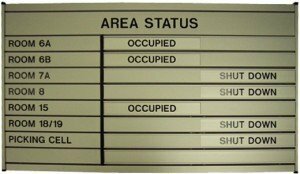 Our engraved aluminium sign directory systems (see example above) can provide an efficient, versatile and cost-effective solution for your internal sign needs. Ideal for reception areas and lift lobbies these expandable sign systems are manufactured to order to suit individual requirements. As with all our materials such as Stainless Steel, Brass, and Bronze, aluminium signs do not have to be square or rectangular in shape. We can cut all materials to any shape and size you require for your design. For helpful and friendly advice on the our engraved aluminium products or any engraving services please call 01342 843211 or email sales@able-engraving.co.uk. The chief advantage of engraving is that the process is suitable for all kinds of materials, particularly aluminium. At Able Engraving and Design, we offer a broad range of aluminium engraving services. Our skilled engravers have experience working with customers of all types. Whether it’s a simple tag for your pet or a bulk order for hotel signage, we handle it at Able Engraving. 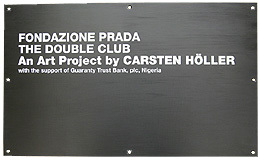 Aluminium signs are versatile and suitable for different applications. The durability and strength of the metal allow it to survive in different environments; whether indoors or outdoors. 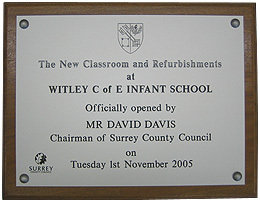 Get engraved aluminium signs, plaques and tags. The huge benefit of working with our trained professionals is that you can order any type of engraving. 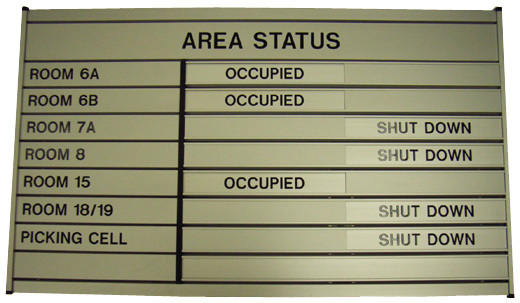 Text is the most common request for aluminium signs, but we do much more. If you need an emblem included in the engraving, our experts will create the perfect representation. Logos, patterns and artwork are some of the details that we can engrave on aluminium surfaces. You can look at some of the engraved styles we have worked on to see if something suits your needs, or send in customised details. We consider the input of the customer carefully when it comes to personalised engraved aluminium items. Lay out the vision you have for specific items, and we will engrave it. We use advanced laser cutting materials for our engraving, which guarantees high-quality work. If you need engraving on anodised aluminium surfaces, we can do it. We deliver great lead times for our engraving projects without compromising the standards. Our rates are competitive and the staff a joy to work with. Contact us to find out which items are suitable for engraving. 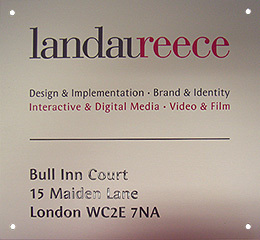 From key chains to lobby directories, our aluminium engraving services are suitable for all kinds of products. 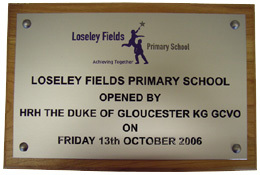 Contact Able Engraving and Design for a superior quality engraving of aluminium signs. You can speak with our experienced engraving team on 01342 843211 or email sales@able-engraving.co.uk.